First of all I am so sorry for not posting for the last 2,5 months. I got caught up with works and my personal life. Now as its a new year, I take some time for myself to breathe, and to understand everything and take a look back at how everything goes by. So anyway - where have I been. Yes, my recent job required me to go back and forth Jakarta-Bangkok almost once every month now. Sometimes I stayed there for like 2 weeks, and then back in Jakarta for around 3 weeks, and flying back to Bangkok again for another 2 weeks. It is tiring, but it's also exciting at the same time. 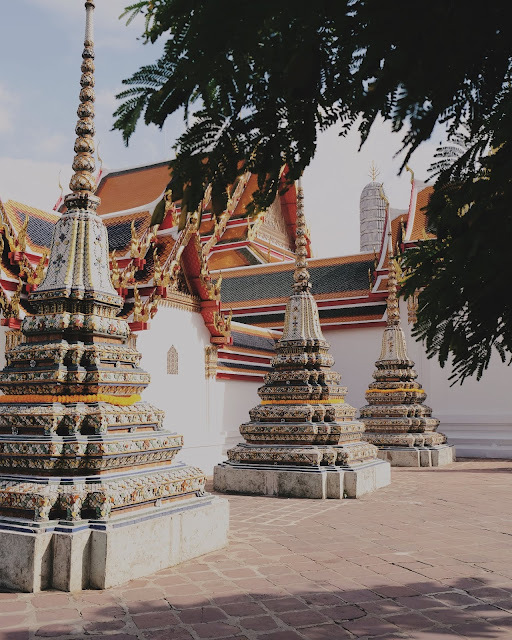 I get to travel and see Bangkok (because I haven't been in Bangkok before), get new friends, and learn more about the job itself and the company. So yes - it's taking my time, my energy - but it's worth it. My husband is surprisingly very fine with me being away from him for 2weeks (or so), maybe it's also like a "me-time" for him and which you will need when you get married. So for now - everything's fine with the works and also, with the time for my husband. 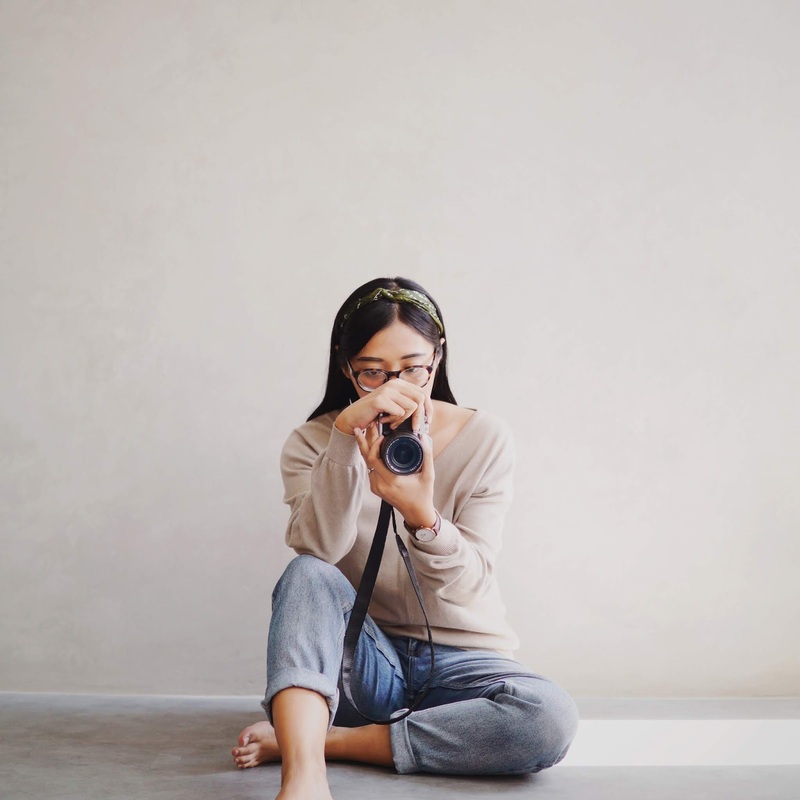 Secondly, me and my husband's photography project - Tersirat - is getting bigger and bigger. Our schedule is pretty packed on the weekend. 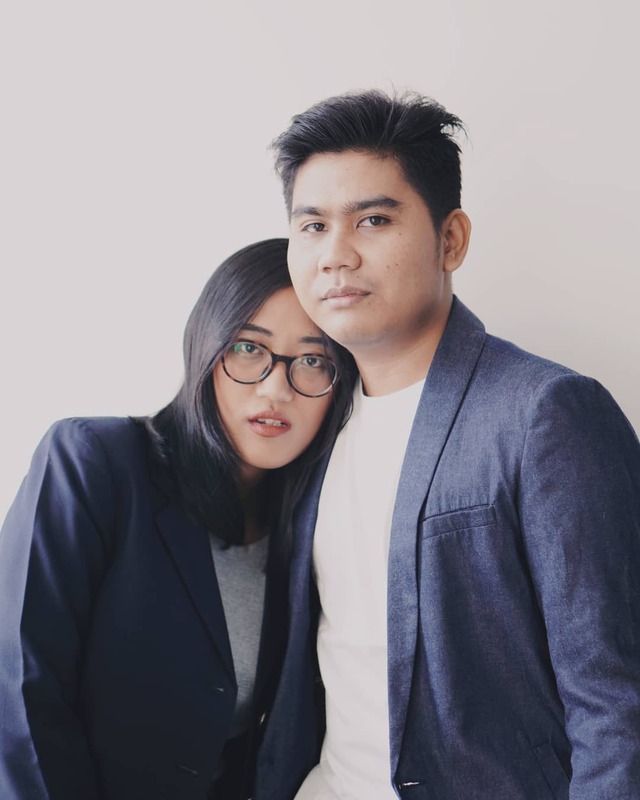 We work full-time in the office Monday to Friday, and we have clients for Tersirat on Saturday and Sunday - and we work on the editing during weekdays and weekend in the evening. It is tiring, but we are very very happy that our small business is growing bigger. And because it is our passions, we are enjoying every moment of it. When we see our clients are happy with the results, that's what matters the most. As the end of year was very packed both for me and my husband, we are planning to take some time off during January and February to have some relax time. We are planning to go to Jogjakarta and Madura (his hometown) on January, and then Bali and Bandung on February. I'm hoping everything is well-planned and we can have some relax time! (And I'm pretty sure I'm gonna be busy for a blog post, but I will try to post #kadventure for you guys). So how about you? How was 2018 and how's everything in 2019 so far? I hope you're doing well, and happy. I'll see you in my next post, loves! 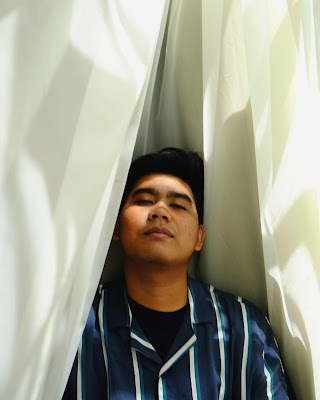 I really want to say thank you for each and any of you who read this post, these words, meaning that I still write something worth for you guys to take some time and read this. So yes, thank you, thank you, and thank you! Okay, September 2018. What happened. 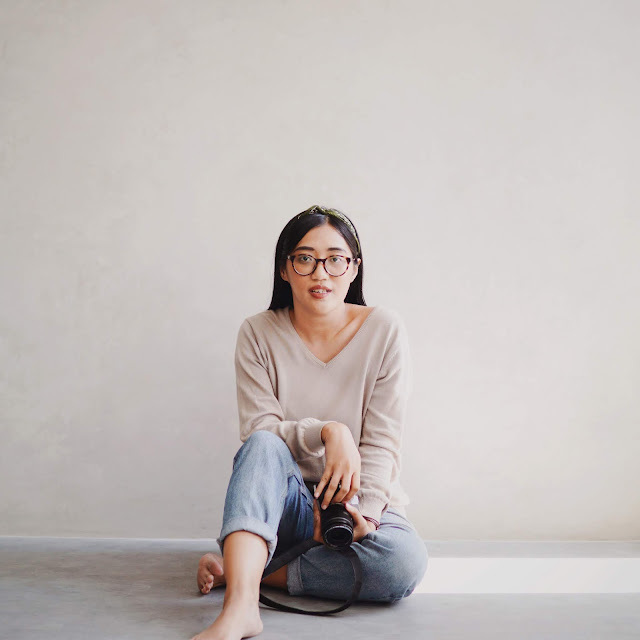 Yes, a lot of things happened in September; moving in with the husband, starting my brand new job as senior campaign associate, busy Tersirat jobs - in case you didn't know, this is my photography & videography project -, and so much more. Let me break it down to you, it's a lot harder than I think! We got to discuss on so many things; what to eat, who cleans the room, what to buy, etc. Even until simple thing like doing laundry and washing the dishes, we do it together and the hard thing is to make time for it. As you know, we both work a full-time job 9 to 5 and in the evening we kinda just crashed because we're tired. 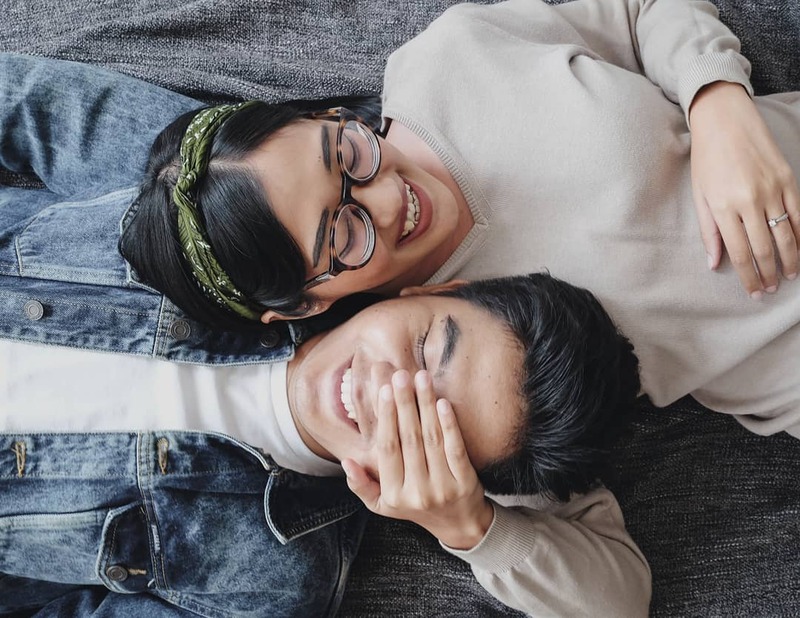 Despite the hustles, it is a lot of fun to finally live together with your loved one. I feel like nothing to worry, I feel like there's so many fun moments just chillin in the couch and watching youtube or movies. Just livin life. The question is: again? Yes. 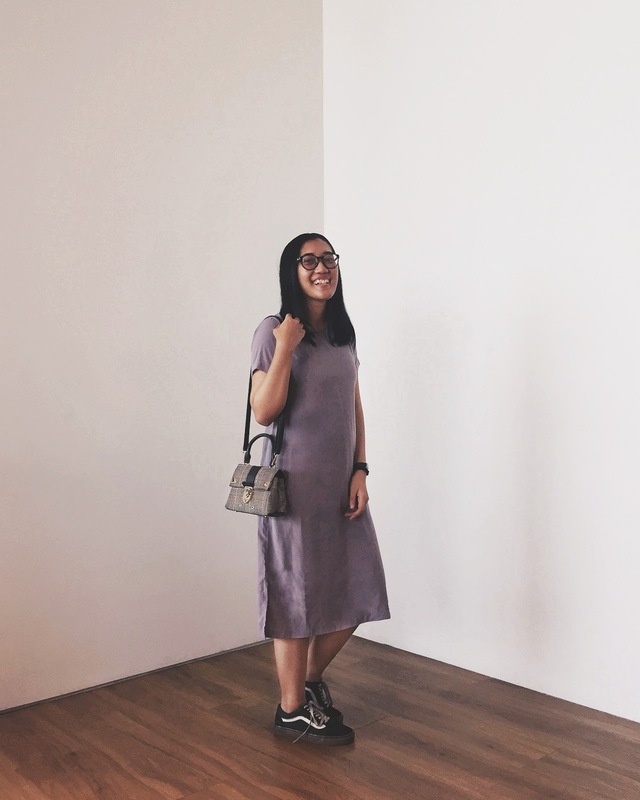 I switched job from e-commerce & marketplace to working in a fashion brand. As a fashion enthusiast, it always triggers me to seek for more & learn for more. And it is such an honour for me to finally scored a job at one of the most popular fashion brand in Indonesia. I get to learn a lot about how they work, how they approach the market, and how they set their goal. It is exciting! There's a lot more happened in September, but this post won't do the justice. So let me keep it and will share it to you sometimes in the future. See you in my 101th post next week, loves! So if you follow me on the gram, you should've known that I went to Bali last August for my honeymoon. And what's the better place to have a peaceful stay beside Ubud? 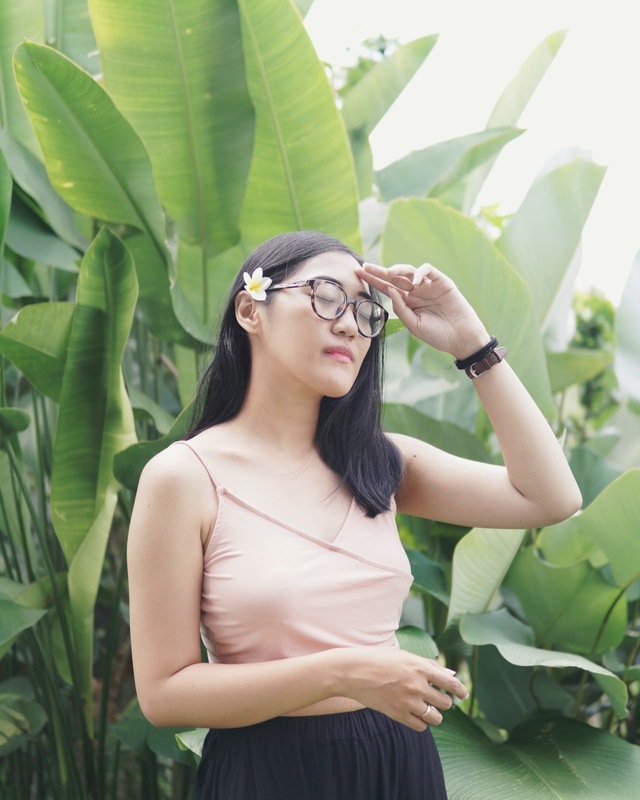 So we planned our Bali days mostly around Ubud and we chose to stay in Airbnb in Ubud. 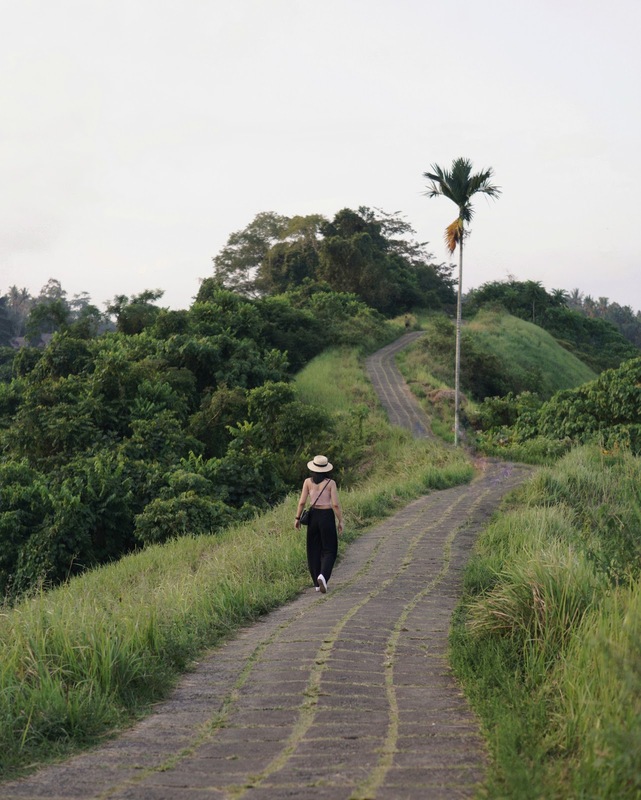 The thing that I always love about Ubud is its peacefulness, and its pureness of the people. The vibe is just different from anywhere else in Bali. 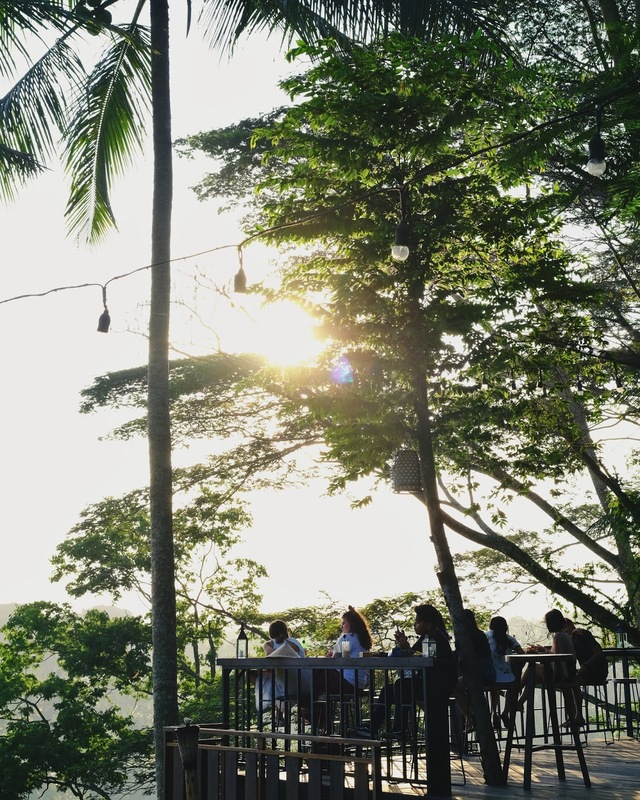 It's the perfect side of Bali to relax and just enjoy the fresh air. 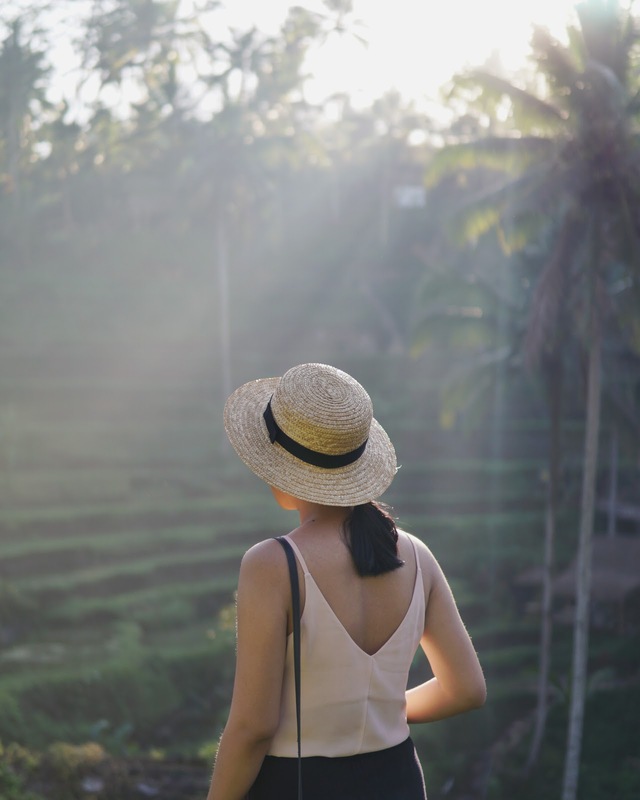 Ubud is my favorite part of Bali, period. 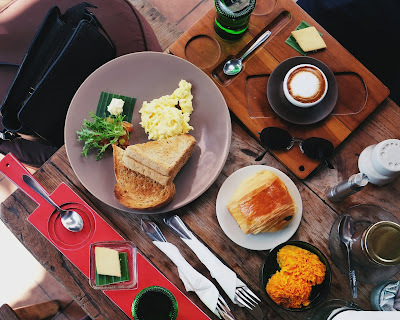 Canggu & Seminyak might always have new cafe & new places to hang out, but the authenticity of Ubud that keeps me coming back. This time, I visited few local resto with super tasteful choices of food. I will share some of the places that I personally would love to recommend to you. We arrived in Ubud on Monday and we went straight to have some lunch in WMJ (Warung Mak Juwel), and oh. my. God! It is the most delicious Nasi Campur Bali that I've ever tasted. Try it by yourself, thank me later. It is that good! The place is quite hidden and its a bit hard if you go there by car. But its worth the flavor! We even went there twice in only 3 days. But sadly we forgot to take any photo there, but trust me, it is that worth it! 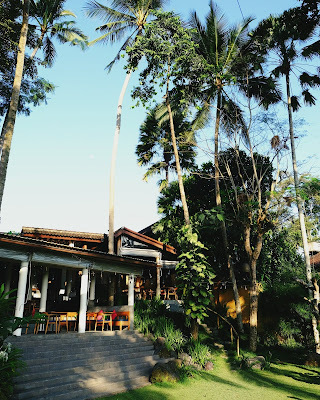 The second favorite place that we've tried around Ubud is The Sayan House. It's best to come here around 4PM before the place got crowded. It's a nice place to have some drink and snacks while chillin' and waiting for sunset. The price is also not super expensive, compared to the view & vibes that you get. I'll definitely come back. 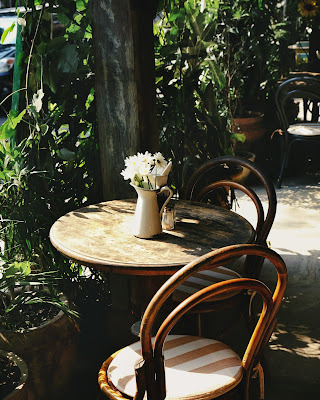 Next one, I recommend you to try some food in Kebun Bistro around Jl. Hanoman. The place is pretty spacious and the vibe is chill & nice. The foods & the drinks are delicious and the portion is pretty big, compared to the price that's not really expensive. The last one that I'd like to recommend to you is Seniman Coffee Studio around Jl. Sriwedari. It is definitely a nice place to have a coffee while reading a book or just chillin with your loved one. We had breakfast there and it was beyond my expectation! The coffee is just creamy as the way I like it, and they are selling good pastry too! 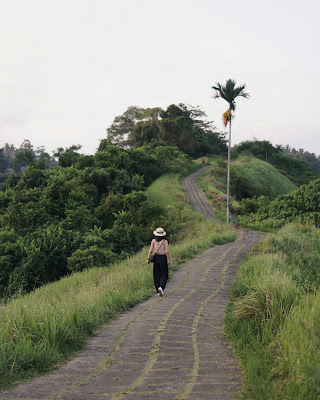 Besides chillin' in our Airbnb and exploring Ubud culinary places, we also went on some hikes to pretty places around Ubud. 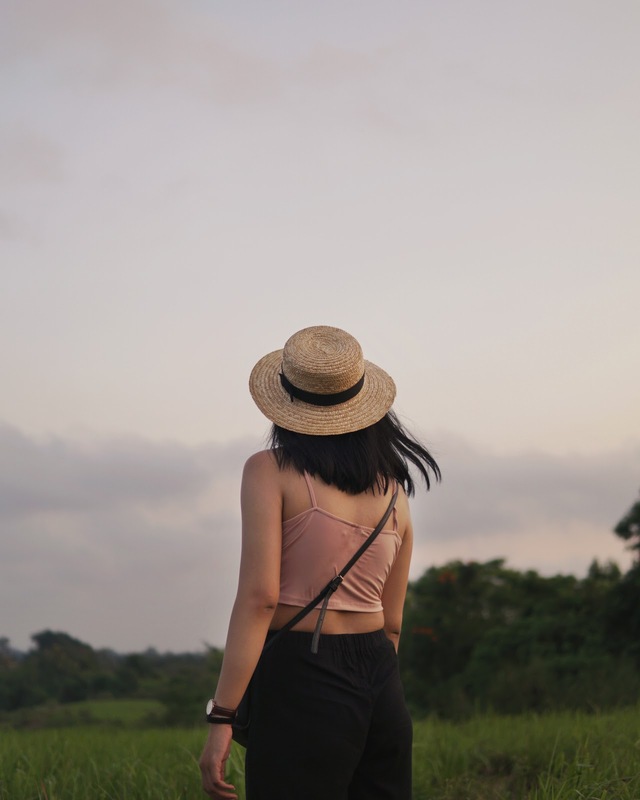 We went to Campuhan Ridge Walk and also Tegalalang Rice Terrace. I think the best time to visit this place is either super-early in the morning, or in the afternoon right before sunset. You need to hike a little but you'll make it, and the view is worth it! A little tips from me, don't forget to bring some water, and wear comfy shoes. You got my heart, Ubud. 'Till I see you next time. You know what time it is.. yes, monthly favorites! With no further ado, let's jump right in. I gotta say that BLP Loose Powder is the winner for me this month! I mean.. I've heard a lot of good things about this product and I finally tried it out. And yes, the powder is that good! First, the packaging is very useful because it separates the powder with the puff. Second, the color really match Asian skin, I would say. And third, it gives you a matte finish and it stays longer than I expected. For the second product, you know that I love blush, right? 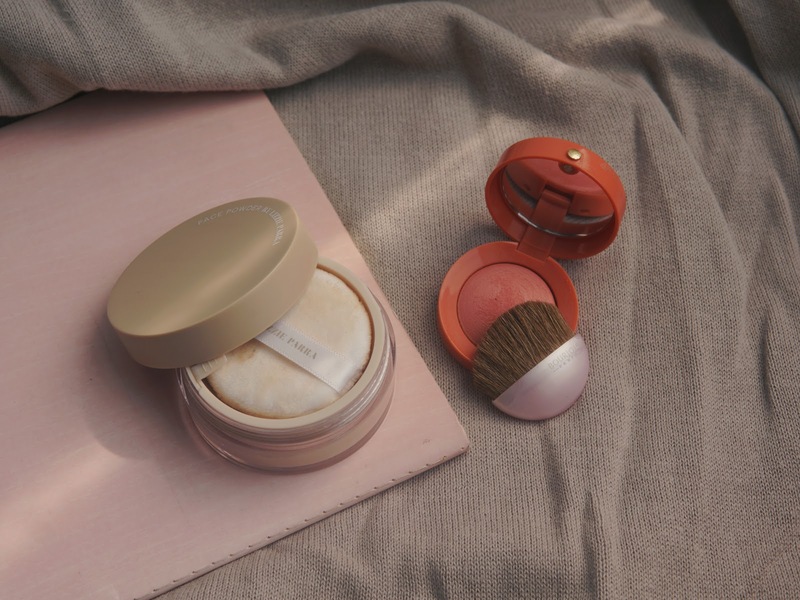 There is 1 blush that I've been using these past few weeks. It's the Healthy Mix Blusher shade 41 Bonne Mine by Bourjois. I've been loving few fashion items this month, the first one is my new mini bag from Vocra. It's a classic - a vintage - and timeless bag. 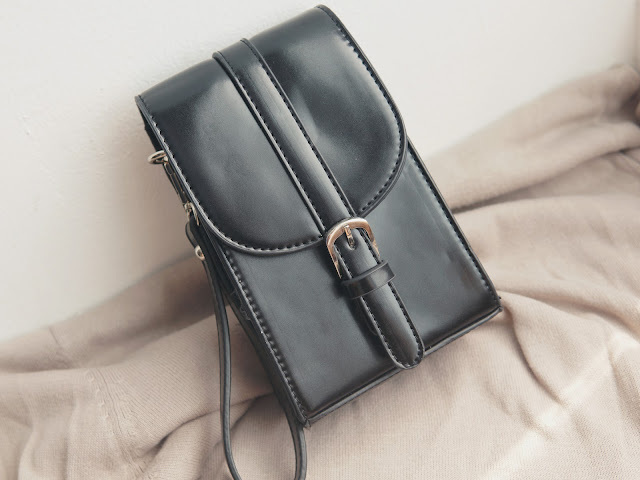 It's a black leather mini bag that I think will compliment your every outfit. It has 3 straps (wrist strap, long leather strap, long chain strap) but my favorite is the wrist strap! The second item is my pearl necklace that I bought in Ubud (there's a #kadventure post about this trip, stay tuned.) 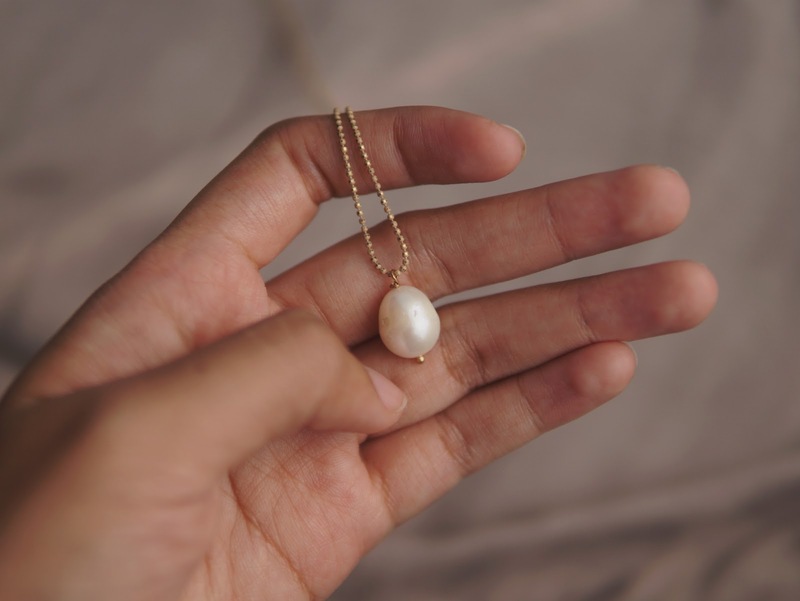 The necklace is so pretty and simple, and it's the kind of necklace you can pull-off casually or formally. I wore it for a dinner date with my husband, and it just fit the dress perfectly. I really love it when a necklace give that instant elegant look to your outfit. I haven't had enough time to update my Spotify playlist but I promise I will, for my next monthly favorites post! I have a favorite book this month. 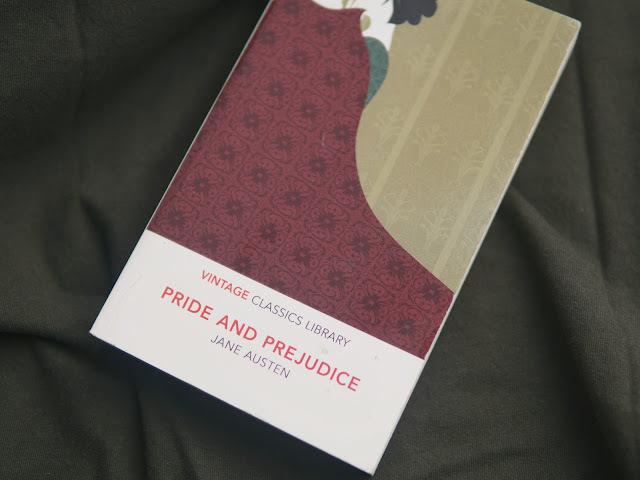 I'm starting to read Pride and Prejudice, because as much as I love the movie, I never read the book before. So yes, I'm starting to read the actual book and I find it even prettier than the movie! I haven't finished it yet but I'm pretty sure it will be my favorite. So yes, it's quite a long post for favorites, and finally saying bye bye to August as my favorite month of the year. See you in my next post, loves! It's good to be back! Sorry for the absence of posts for the last couple of weeks. 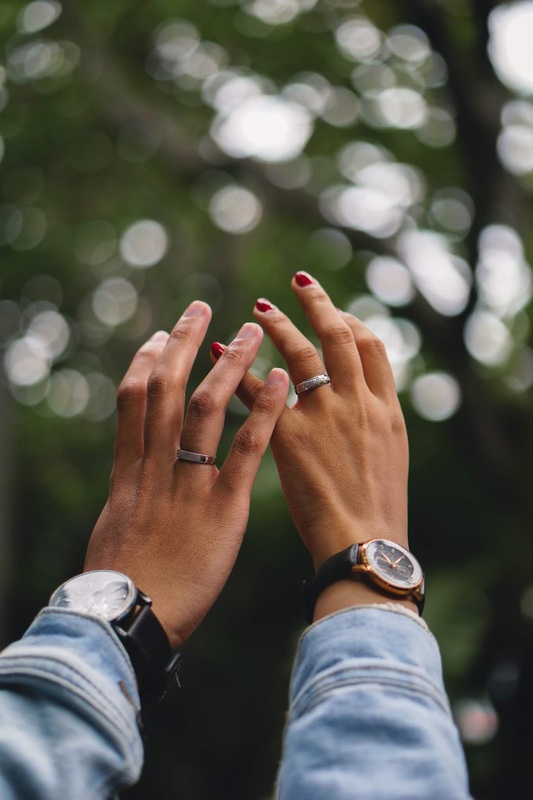 I thought I can spend some time to write a post between hectic wedding days, but turns out it was the busiest week of my life. And we directly left Jakarta in the next 2 days after our wedding for a honeymoon. So yes, apologize for keeping you guys out-dated, we were too busy being in love. But yes, I'm back now to my normal days. So I think let's start softly in talking about how it feels like after a long journey of relationship - to the wedding day - and, now. Of course, there are ups and downs in our relationship. 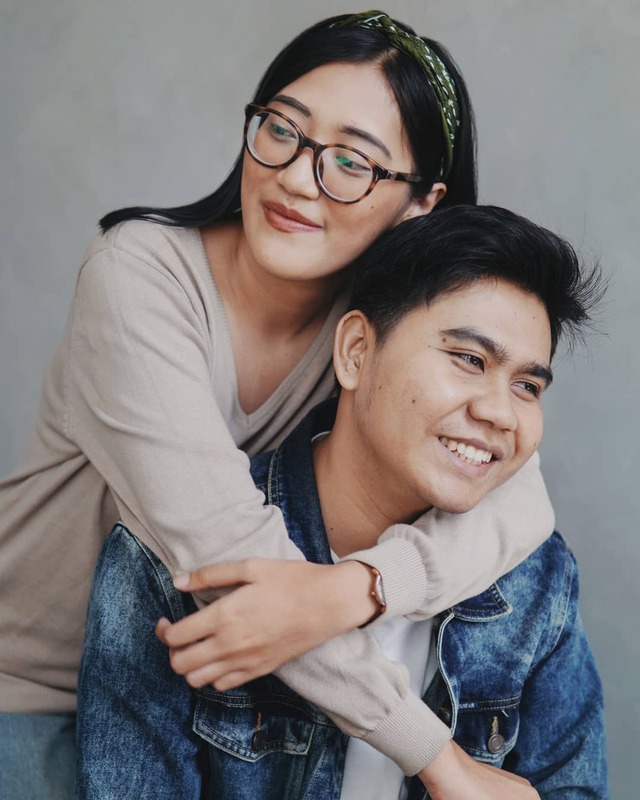 We've been through everything, and we also did long-distance relationship for a year when I was still finishing my study in Yogyakarta & he was already working in Jakarta. Every time we face a problem, he always says we should not blame each other, but we should focus on how to avoid the problem in the future. He is a very mature & wise person, I might say. We always communicate every single thing, that's why there's no problem seems so big that we can not handle. 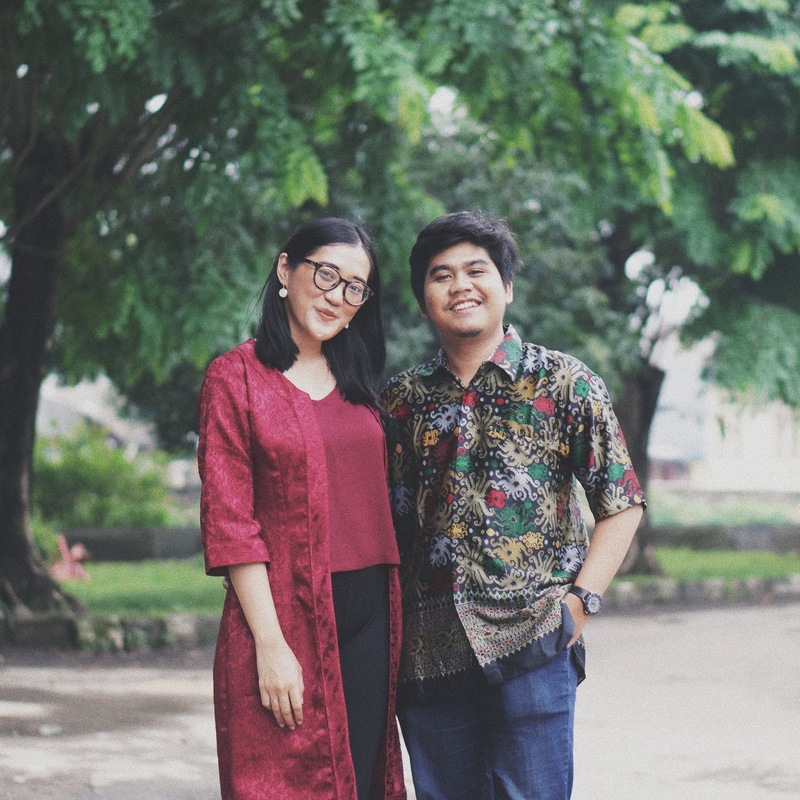 On 2017, he proposed to me during our holiday in our favorite town, the town where we fell in love, Yogyakarta. I said I do, definitely, absolutely, completely. By the end of the year, the two families met and we started preparing our wedding. It was a fun & busy 8 months until the wedding day, but by that time, I fell nothing but love. Big love. It's an amazing feeling to "build" something with your beloved one, all the hard times don't seem like big deal to us. Finally, we got married on 18.8.18, just two weeks ago. It was a very, very beautiful night, just like what we imagined. I feel nothing but happiness & love. I feel loved. I was smiling all night long because I can not contain the happiness. I'm marrying my best friend, my other half, my everything. Life seems to be better now. Like I'm in the right place, like I'm complete. I can't believe that it was 7 years ago that I met this man, who's a weird, a funny, and a very loving man. I still can't believe that I'm the luckiest woman to feel this much love from this man. And now - nothing in this world seems impossible & hard. When I'm with him, I know I'll be alright.